We, like most of the Netflix-subscribing population, can’t get enough of the young stars from Stranger Things. 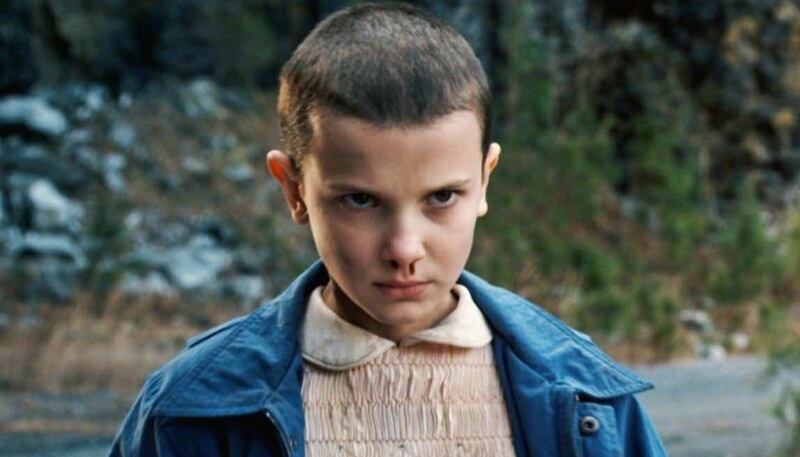 Perhaps the cast member most pegged to become ‘the next big thing’ is Millie Bobby Brown, the 12-year-old British actress who plays mysterious human guinea pig Eleven. Proving how committed she is to her craft at such a young age, the prodigious star today shared a video documenting her transformation for the role of Eleven via her official Twitter page, which is monitored by her brother. “I showed you my school picture!” Ryder said to Brown. Brown has previously starred in the BBC series Intruders, plus episodes of such shows as Modern Family, NCIS, and Grey’s Anatomy. We can’t wait to see what she takes on next; which may or may not be the highly secretive second season of Stranger Things.